It is almost expected for women in Hollywood to get plastic surgery in order to improve their looks or to stay looking young. It is not quite as common for men, who are just expected to look good or not give that sort of attention to their appearance. Therefore, plastic surgery for male celebs is all about looking invisible and showing no evidence. However, sometimes the surgery does not go as planned. 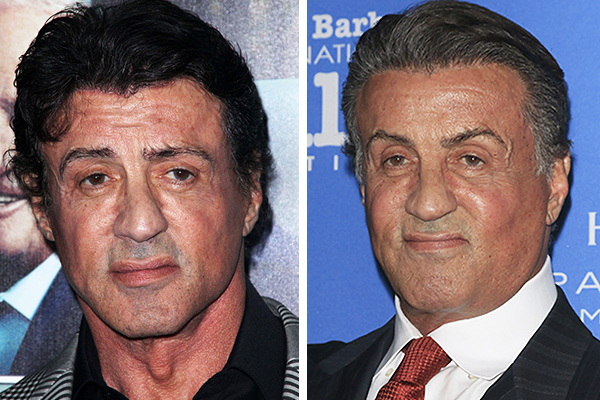 Overall, Sylvester Stallone’s plastic surgery is pretty impressive. He’s had plenty of Botox injected, and yet he hasn’t managed to completely destroy his face. The puffy cheeks are completely different from his younger façade, but he still manages to look relatively normal and pretty good despite his age. He wants to stay in the spotlight, so it’s likely that there is more plastic surgery to come.